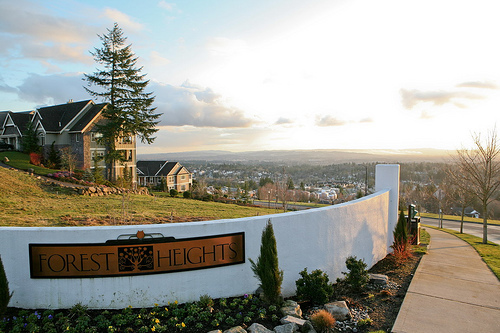 Named for its high vantage point on top of Portland's West Hills, Forest Heights has some of the best views the city has to offer. On a clear day, you can see Mt. St. Helens, Mt. Hood and other far-off Cascade Range beauties from this beautiful neighborhood's many excellent viewing spots. Homeowners in the area take great pride in their houses and in the landscaping in their yards, which is why they have a Homeowners Association governed by a Board of Directors. Homes in the area are a mix of single-family houses along with townhomes and condos. Updated: 25th April, 2019 11:24 PM.